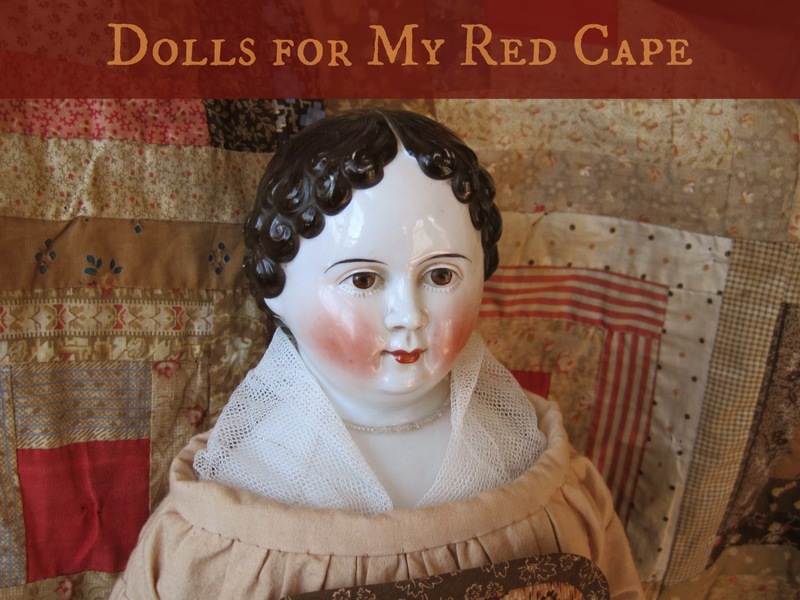 For over 5 years this site has been celebrating creativity and being inspired by antique dolls. What better way is there to celebrate this milestone than to have a cyber party? So, I got a cake....and candles... Wait. Where are the guests? Oh, that's right. Here they are! These are some special Iznnah Walker inspired dolls created by lovely doll makers. L-R, dolls made by Jackie Hendricks, Artis Corwin, Dixie Redmond, Elaine McNally and Martha Bishop. To celebrate 5 years of inspiration, I decided to learn a new skill, to pour reproduction heads of a German covered wagon china doll in composition. 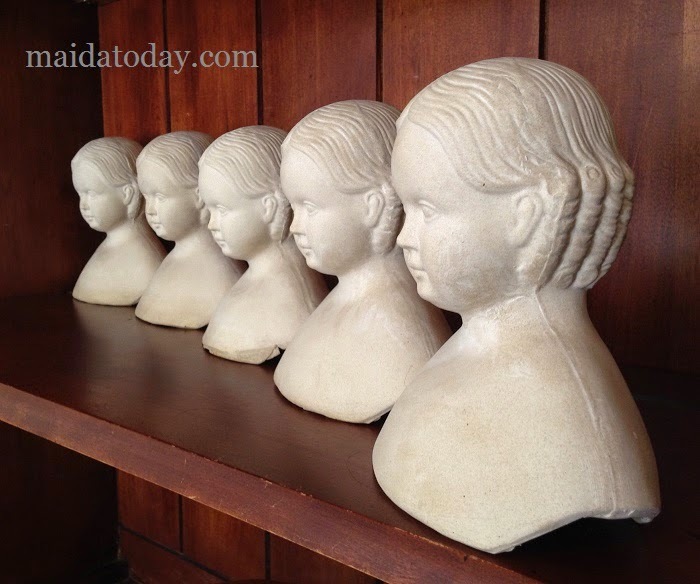 This required me to learn to pour slip in plaster molds, which was a big learning curve! Psssst! As part of the fun I am making 5 of these available to MAIDA Dolls Group members to purchase. Edyth O'Neill joined in with me to mark this day by designing a body pattern for the reproduction head above. 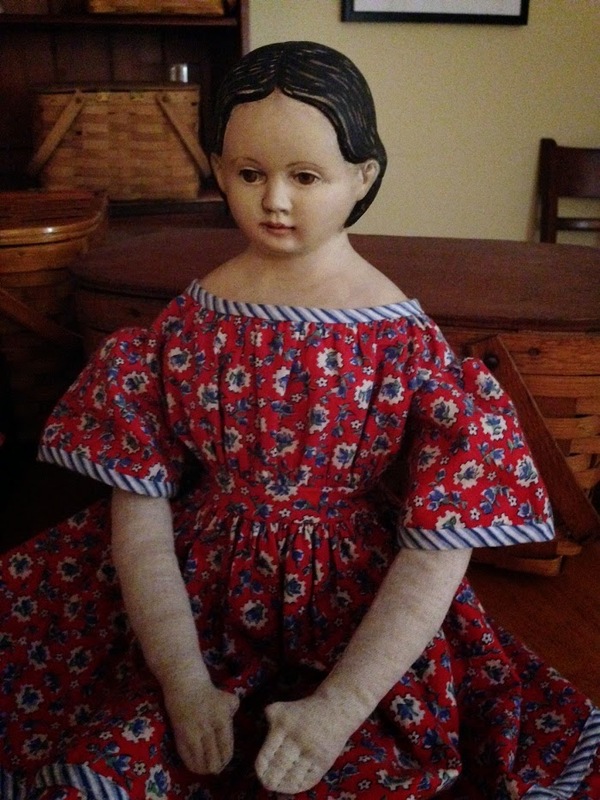 Below you can see one of the heads painted, and placed on a body made by Edyth with Edyth's antique style body pattern. 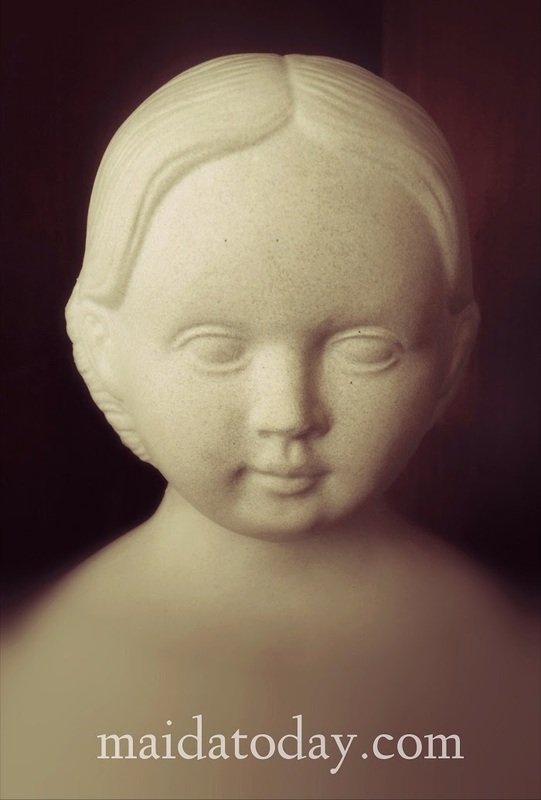 This body pattern fits the reproduction head, but is also appropriate for antique papier mache and china doll heads. For those of you who have been thinking of making an Izannah Walker inspired doll, I am offering my pattern for $18 until March 1st. Click the image below to go to the point of sale. GIVEAWAY - I am giving away this wonderful sculpting tool made by Gail Wilson.To win this sculpting tool, leave a comment on this blog post. I use this sculpting tool almost exclusively. This tool was a game changer for me with my sculpting. It fits perfectly in my hand, and is way better than the skewers I started out on, or the cheap wooden tools I found locally. It is carved from apple wood. To read more about this tool, you can visit this page on Gail's site and scroll down to Molding Supplies, to Gail's Special Wood Tool. And last, but not least, please visit Edyth's lovely new blog. Five years is something to celebrate! 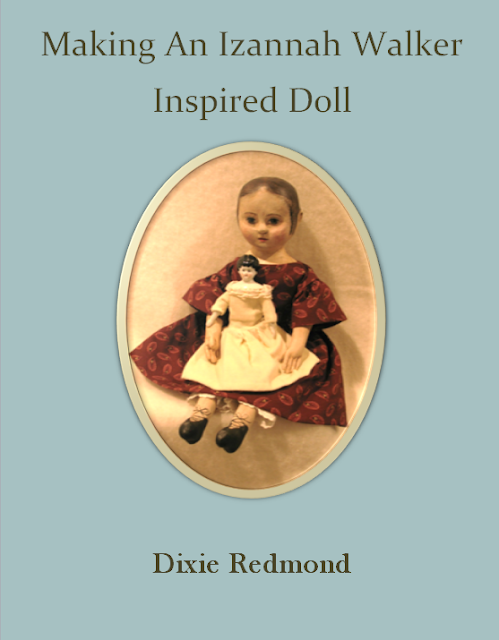 The purpose of this blog is to honor the creations of the past and inspire present doll makers by those works. 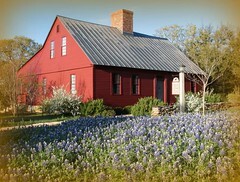 I (Dixie, blog creator) have been thinking about ways to celebrate the five years. I bought this image on Ebay as one way to celebrate. A physical party is not possible, but a cyber party is! So be sure to join on the 28th of February for our birthday bash. There will be some fun things for "door prizes" and some surprises as well. This blog began in 2010. 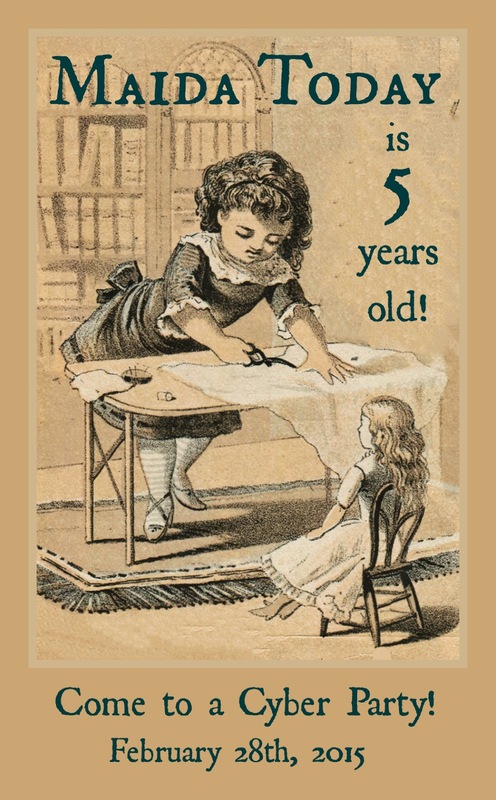 That's five years! 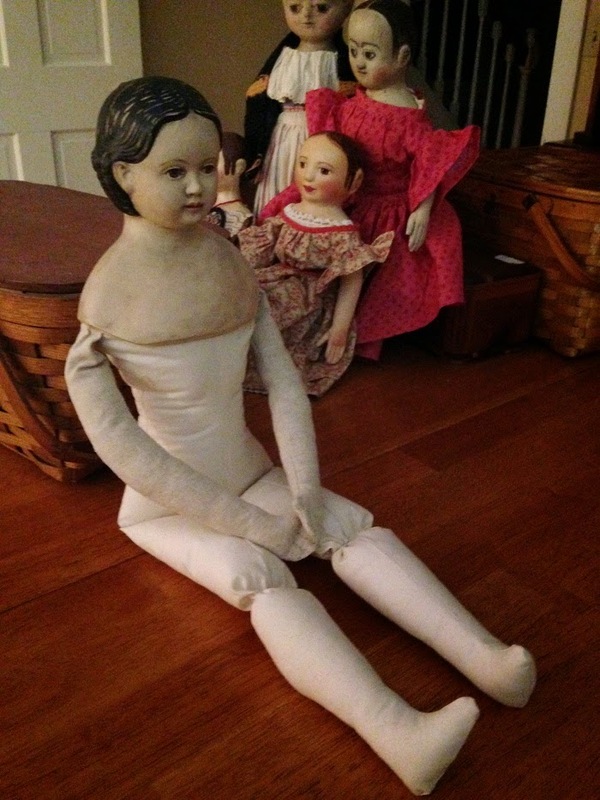 If you go through the archives, many wonderful antique dolls have been featured, as well as awesome artists. 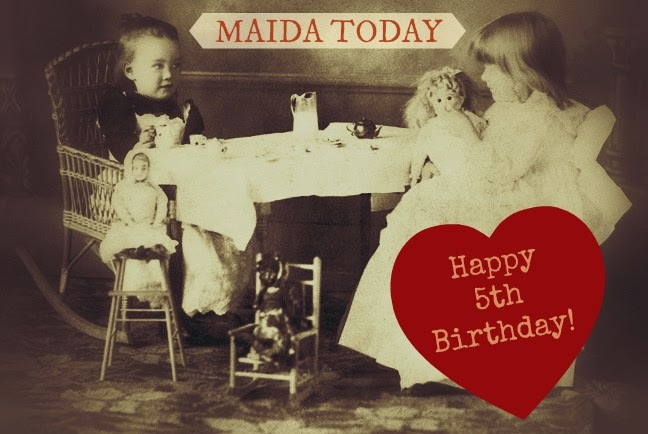 I'm proud of this blog, and proud of the MAIDA Dolls Group as well. At the end of the month, I have a fun project to unveil as part of the celebration. Stay tuned! Dixie here. I would love to borrow Michele's brain for a day. She is such an inventive person! 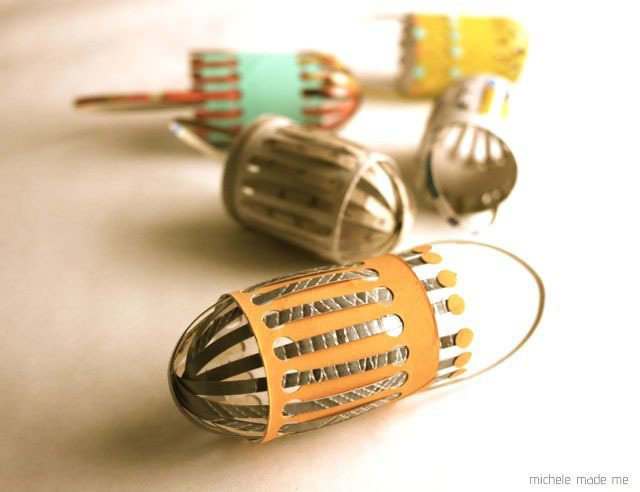 And what is lovely is that she uses recycled materials to make many of her crafts. So hop on over to Michele's blog to see how she made these wonderful little baskets and what she made them from. Michele is the modern incarnation of author of The Girl's Own Toymaker. Enjoy!